Good-quality, affordable used cars are available in the market today and local automotive dealers sell many of them. There are the following types of used car dealers. 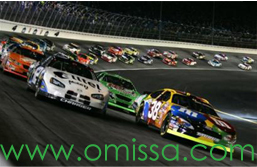 New-Car Dealers Used-Car Lots - Most of the new-car dealers also sell used cars of recent late model vehicles in good condition in their lots, which are relatively expensive. Older and less expensive vehicles are auctioned, usually for purchase by independent used-car dealers. Independent Used-Car Dealers - Independent used car lots offer affordable cheap cars. Proper caution should however be taken to determine if the price is reasonable and that there are no hidden problems in the vehicle. Warranty or return policy may not exist for most used cars. National Used-Car Dealers ? CARMAX Superstore (authorized agencies in US and Canada) is notably one of the largest and reputable used-car dealers and a good source of no-hassle deals, however not necessarily the cheapest deals. Websites such as eBay has an entire section dedicated to selling used cars of all types and price ranges. However, their buyer protection program has to be made use of to avoid obvious risks and possible extra costs that might be involved in buying a used car, which is far away. A great used car deal can be closed with some amount of time and energy and a little bit of research for bagging a reliable and economical vehicle in the process. Following are tips designed as a guideline for buying a used car from a dealer. Type of Car. Many dealers advertise pre-owned cars of various types in local newspaper classifieds, consumer circulars, and weekly shoppers and through popular automotive publications. So the consumer can go through them and select the suitable care of reputed make, required size and their dealer. Obtain the value. Once a prospective used car dealer is found, it is time to work out whether the quoted price is realistic. The car's retail value can be explored by inputting data like make, year, and model and mileage information at the website: NADAguides. com, Used Car Information Center. This information is the basis upon which all other assessments of value are built upon. A value report outlining several different values along with their descriptions will be provided after inputting the above data. Research of the Car Marketability. The first step in determining the worth of the car is pinpointing the retail value of that car. The next step is determining the marketability of that vehicle. i.e., what others are currently paying for similar cars with similar features in that marketplace? It is essential to know how significantly a vehicle's marketability affects its value. Budget Determination. Affordability to spend is to be determined before entering into the used car buying process. If planning to finance the car, calculations on affordability on a monthly basis (in the form of a monthly car payment) is to be fixed after taking into considerate all other personal expenditures like monthly rent, mortgage, utilities, etc. After having determined the monthly car payment allowance, the amount of cash for down payment has to be figured out. And this will depend on the current financial status of the individual. Finally, an affordable used car purchase price is to be determined based on these calculations. Guarantee check. It is essential to know in advance about the type of warranty the used car is covered. In some cases a manufacturer's certification program may be available or in some other cases it may be covered under a dealer-backed warranty. If no warranties are offered, an independent, extended warranty to cover the vehicle can be purchased for a little extra money. Warranty programs are significant because of the coverage of the cost of specific major repairs that may occur to the vehicle mechanically. Moreover, certified cars with manufacturer warranties undergo a rigorous inspection process. Avoid buying a lemon. The single biggest fear of most used car shoppers is buying a lemon probably. Certain steps can be followed when personally inspecting a pre owned car, which includes putting the vehicle through a comprehensive interior, exterior and mechanical appraisal tests. Deal Negotiation. One of the largest purchases a consumer can make is buying a Car. At NADAguides.com, the importance of negotiation as a tool to help car buyers is stressed to get the best deal on a used car. Before entering into a negotiation process, it is to be made sure whether the individual is ready to buy ? since more time is wasted in bargaining for a vehicle without having an intention of purchasing. A clear understanding regarding the vehicle's current value based on its make, year of manufacture, model, condition, mileage and market desirability will be obtained if some homework is done ahead of time.